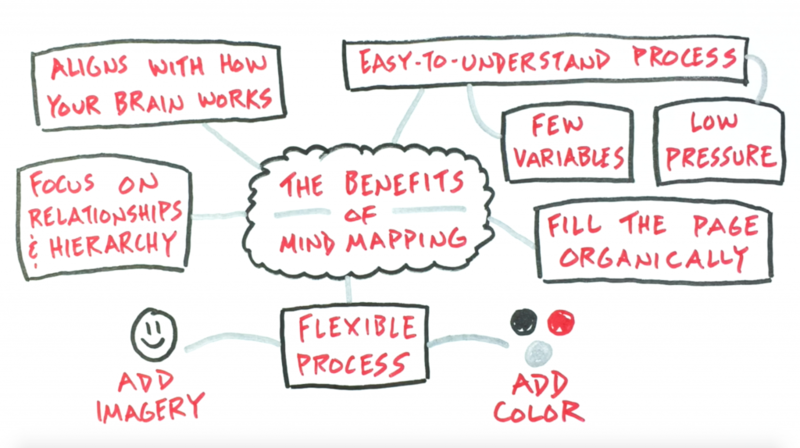 If you’re looking for a low-stress and high-reward entry point into visual note-taking, then look no further than the mind map. 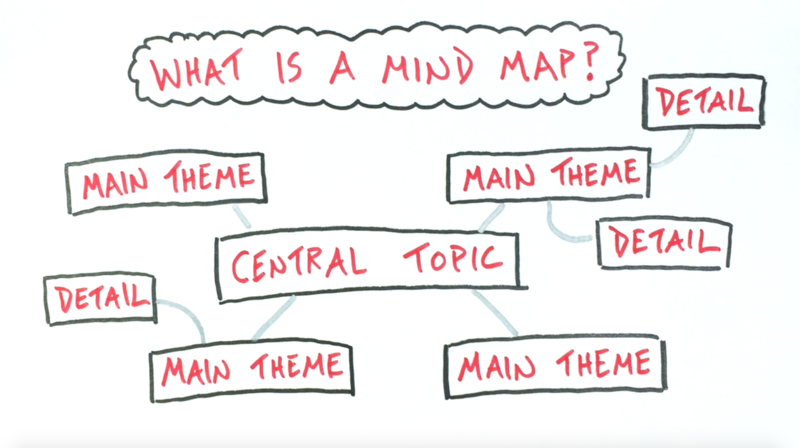 With mind maps you arrange your ideas visually on the page, with the central idea in the middle, then main themes and details branching outward from there. It aligns with how your brain already works by mimicking the network of neurons that connect ideas and allow you to recall them. The process is easy to understand, so you don’t have to spend hours mastering the process before you can actually put it into practice. You get to fill the page organically – no need to worry about structure up front, just find an open space on the page, add your idea, and connect it to related ones. The focus is on relationships and hierarchy. When working with complex topics that is often the best way to wrap your head around a set of ideas. The process is entirely flexible. Though my focus here is on text and layout, you can build in imagery and draw to your heart’s content or do more with the use of color. Real-time note-taking. When the ideas are coming at you quick this is a great way to capture them without losing track of what’s about to come next. When working with complex ideas. With a focus on relationships, this process can handle complex ideas as well as any other. For the non-drawers out there. This is a great example of how folks who don’t like to draw can still benefit from the spatial reasoning powers behind visual note-taking. When you’re unfamiliar with the subject matter. Don’t let new subjects hold you back! If you have less experience with the ideas you’re capturing then this process can help you get started. 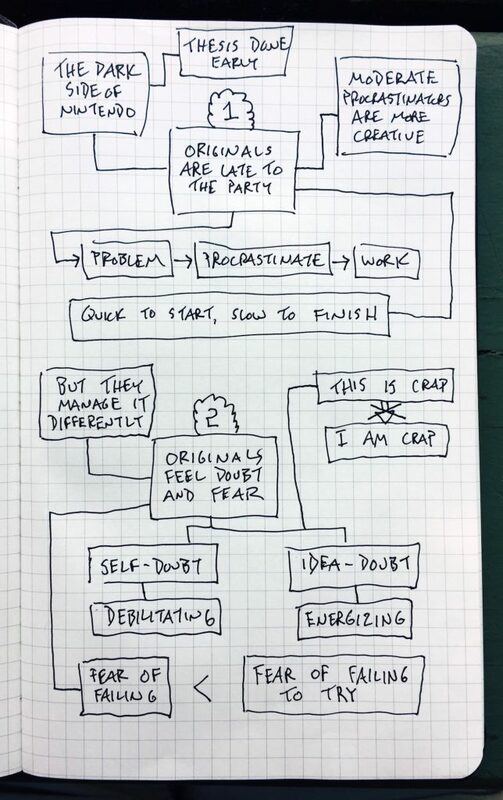 For those new to visual note-taking. 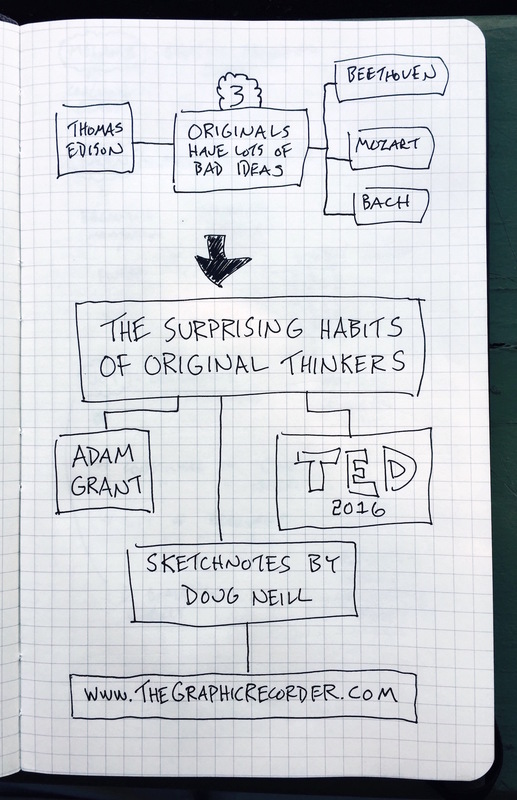 If you feel daunted when you look at the sketchnotes of others online, this approach could be a great way to jump in and get your feet wet! 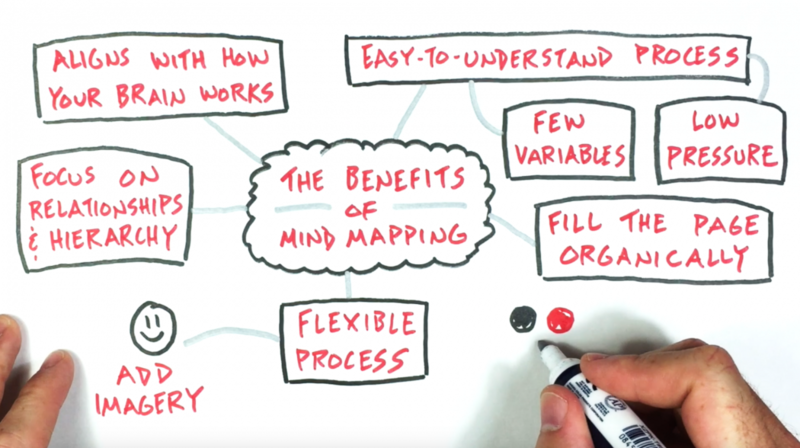 Let’s take a look at a few examples of mind mapping in action. 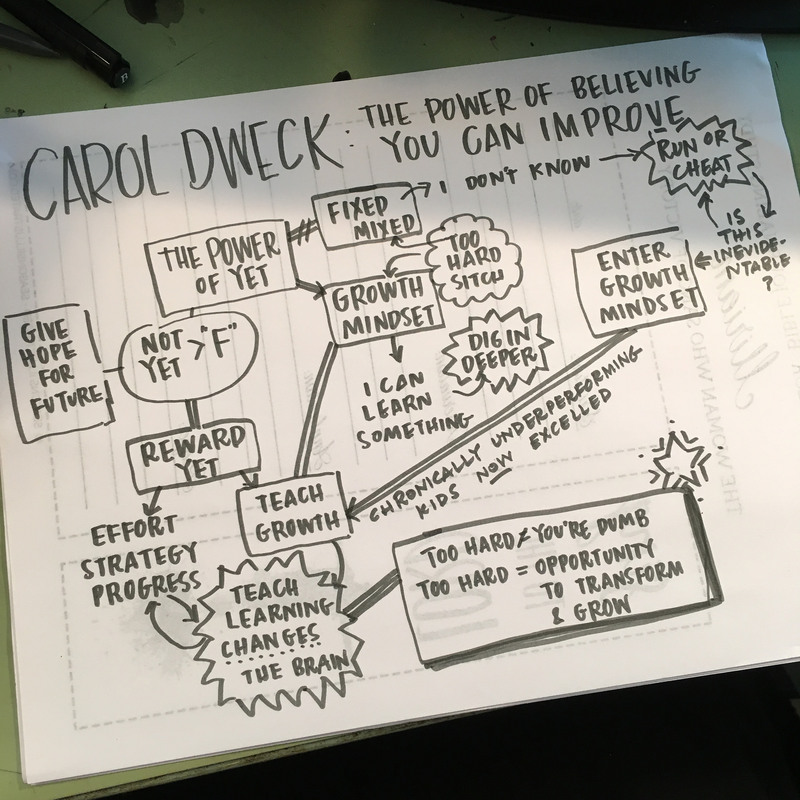 You can check out my reflection on these sketchnotes here, where I share the ideas that I’m most excited to act on. What I enjoy about this process is how there is plenty of room to add your own style, even when you’re primarily using just boxes, text, and lines. Now it’s your turn! Give mind mapping a try and see if it might fit your style and your goals. 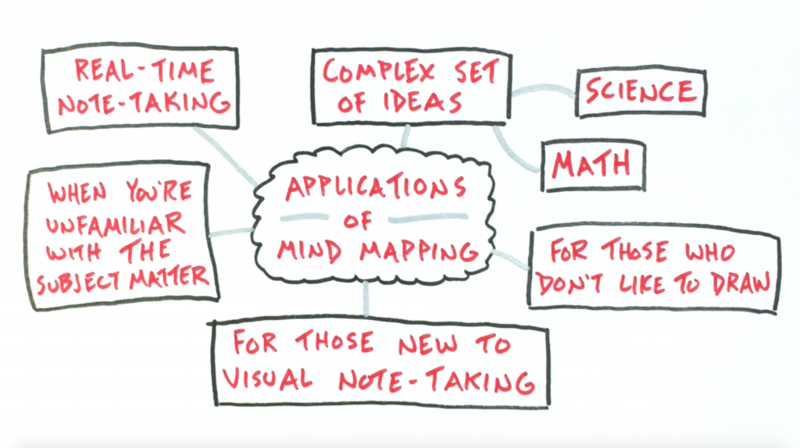 If you’d like to make sketchnoted videos like the one you saw here, we’ve got a course for that too! Check out How To Make Sketchnote Videos. Within that course you’ll see the full behind-the-scenes of how I made the video above.